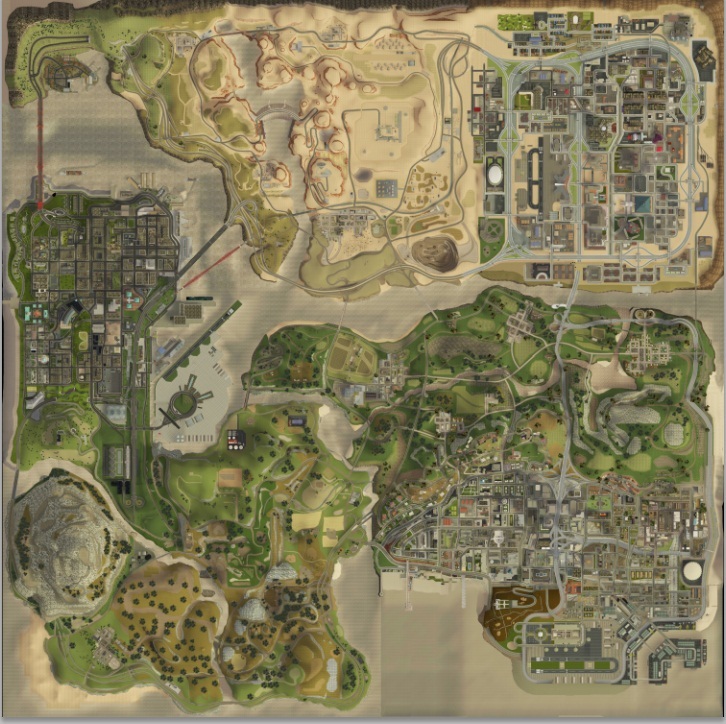 This is a High Quality 24064*24064 GTA Ariel Map. I originally got the idea from Ian Albert and wanted to do it on a massive scale. 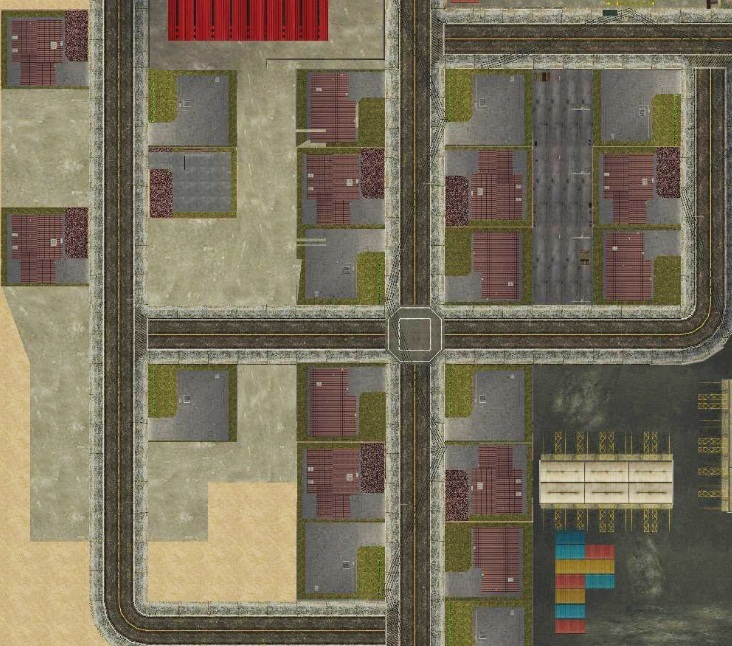 His initial map was 8000*8000 and this one is 3x as big as his which gives more detail! I first contacted H02 (Scott) the beta tester to see what he could put together, he decided to use Steve M's map viewer and use a LUA script to run though and set the camera position and take an image, each square was around 256*256. In the end there was around 8836 256*256 squares. A PHP script was written for the squares to be stitched together. The initial LUA script took around 1 hour per attempt to obtain the squared and then another 1 hour for them to be stitched. Before they could be stitched they had to be converted from bmp to jpg using another script which took another few hours! WARNING: Do not try and open this image in some simple program such as Paint or Image Viewer as it will crash, remember it is 141mb big! You need a program such as Photoshop. I did initially pay h02 (Scott) for this but because I wanted a much higher quality than this we agreed a 50% refund. - h02 (Scott) - For all his hard work and dedication to the map. Send a private message to Red_Dragon. Find More Posts by Red_Dragon. I originally wrote this topic with the file size being 500mb, I saved it as size quality 8 in PS which lowered it to 141mb. Can you remove your image and just leave the image links please. Thanks, but as I said there is some issues in some locations and some photoshop work would patch it out!